Renowned for its après ski, St Anton is a traditional Tyrolean resort in Austria’s largest linked ski area. Some of the team here think it's the best resort in the world - read our Expert Guide to St Anton. The Arlberg ski area has a vast network of cable cars and lifts, allowing easy access into the pretty neighbouring resorts of Stuben and Zurs/ Lech. The Flexenbahn cable car system now links Stuben to Zurs/ Lech making skiing between the Arlberg ski resorts even easier and much faster. St Anton has a diverse ski area with a total of 305km of runs making up the Arlberg ski area, inlcuding 132 km (43%) of blue runs, 123 km (43%) of red runs and 51 km (17%) of black runs. St. Anton is known for its challenging skiing, recommended for more experienced skiers as their pistes are much steeper than those in France. On a powder day the first lift is way too late to get the first tracks. The powder hounds with all the avalanche kit have long since hiked up and cut the nicest lines off the Valluga. The longest downhill run in the Arlberg ski area is 9km from Valluga - Ulmer Hutte - St Anton. Despite having an excellent ski school we don’t usually recommend St Anton to beginners for once you are off the beginner slopes it gets steep and narrow even on blue runs. The ski area over at Lech is much better for cruising and that’s where we would recommend beginners to go. Lech, in the Vorarlberg area, another traditional village clustered around the river Lech, is a great place for a long lunch and a fast cruise on wide pistes – think Courchevel 1850 or Zermatt style. We’d recommend the Rud-Alpe Gastronomie just above the centre of Lech for a blowout lunch. Across the Valley from St Anton ski area is the Rendl ski area which offers the excellent Rendl Beach bar and restaurant area with live music most days and overlooking the Terrain Park. There are some great back country tours to be done with guides off the back of Rendl. You should also visit the smaller villages like Stuben and St Christoph in the linked ski area. Do not miss the Hospiz Alm in St Christoph for a long lunch. It’s really superb with great outside seating and the staff dress in traditional Dirndl dresses and Lederhosen and there’s a fun slide to the bathrooms downstairs. St Anton gets between 50-60 sunshine days during the ski season, perfect weather for relaxing on the sun terrace. A must if you’re an experienced skier and up for getting your blood pumping. Not for the faint hearted as it starts at the highest mountain in the area and there is a lot of exposure from up here so be warned if you have a fear of heights! The first part of the run can be scraped, icy and narrow with moguls making it tricky to start off. But as you get further down, the piste is gentler and you can enjoy cruising through the powder. St Anton is known for its un-groomed pistes. For keen intermediates up for a new challenge, the Kandahar run at the top of the Galzig Bahn is a great one to kick start the day. Although a black, it is less steep than most blacks in the area and best to ski in the morning as in the afternoon it the slope does tend to be churned up quite a bit. It’s a great start if you are new to moguls as the piste is nice and wide. Starting from the top of the Schindler Spitze, the Red 14 is great for those wanting to get those legs burning. It’s a long run, so take it at your own pace and admire the stunning views as you ski down into St Christoph. It’s also a great run to perfect your technique as it’s usually covered in fantastic powder, great for getting your grip on those carving turns. Resorts in the Arlberg ski area often top the snow-depth records for Austrian resorts. Snow conditions are generally reliable in St Anton with an average of 11m of snow each season. The resort is legendary for it’s incredible off piste conditions and abundance of powder. When needed there are 983 snow cannons installed in the ski area, in total 72% of the runs are able to have artificial snow if needed. Accommodation is extremely varied in St Anton; we have over 50 ski properties in St Anton including chalets and hotels. There is a diverse range of accommodation both in a central location or further out of the vibrant village. Chalets in St Anton come in all shapes and sizes, sleeping from 4 people up to 35. There are some excellent options for family and group ski holidays. Hotels in St Anton range from smaller chalet hotels ran by British tour operators through to larger and superior traditional hotels located in the centre of the village. St Anton has set the standard for après ski and arguably no other resort can match it! If you are looking for a party, then St Anton really is the most fun resort on the planet. There are so many great après bars but notably the most famous ones are the Krazy Kangaruh and the Mooserwirt. The Moose sells more beer than any other bar in the Alps. They are delivered by immensely strong bar men carrying up to 30 large beers to your table (that you are dancing on) and come with shots of Jaeger or Willys mit Pear (Williams Christ Birne pear Schnapps with a ball of Pear in the shot glass). Many partiers walk up the slopes to get to the Mooserwirt or the Krazy Kangaruh just to join the party. At 3pm everyday the DJ at the Moose starts the party by playing ‘The Final Countdown’ by Swedish Band, Europe, and has been doing so since 1986. Other worthy on-piste bars with live music include the Heustadl (great bands rather than DJs) , the Rodelhütte (Piano accordion traditional oom-pah music), taps for cheap beers and The Fang House right next to the Nasserein Gondola – The Fang is a big favourite with the Iglu team. There are at least another 10 worth a visit to get your après crawl list going! St Anton is a pedestrianised village centre and offers plenty of activities away from the piste including a cinema, ice skating, bowling, curling, sleigh rides, tobogganing and the 'Arlberg-well.com' leisure complex. The 4.2 km long illuminated tobaggan run from Gampen via the Rodelhütte to "Rodelstall" in Nasserein has to be the best in Europe. 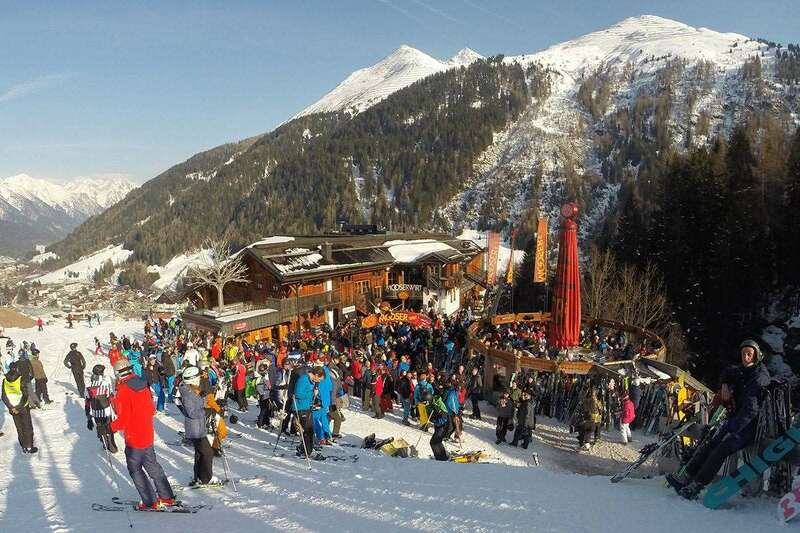 Non skiers can also make their way to many of the après ski bars and lunch restaurants to meet their groups on the piste. There are 18 ski huts and mountain restaurants in the area from self-service to gourmet cuisine. The Verwallstube at Galzig has been awarded two coveted Gault Millau toques. Booked a week in St Anton staying at the Hotel Post. Flights and transfers were fantastically smooth and timely. The Hotel Post was faultless, located 2 minutes from the lift in the centre of the village. The rooms were modern and spacious, the staff were incredibly friendly and helpful and the food was great. Apres Ski in St Antonm is fantastic with the mooserwirt & krazy kanguruh as well as several other cool bars in the town. Great resort, great hotel, excellent sarvice by the Iglu staff. 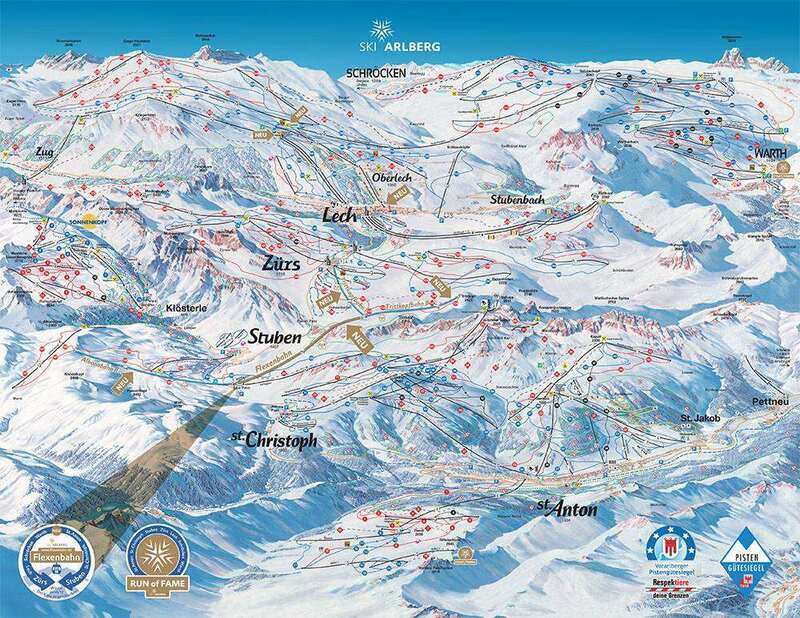 St Anton is an incredible resort, the ski area is huge & now linked up with Lech and Zurs. If you have a sunny day head over to Rendl Beach a great sit down area at the top of the mountain over looking the park! It is really well suited to groups as it is famous for its big apres scene, KK&#39;s and Mooserwirt are the most popular but you should also go to Taps and Basecamp. And if you are staying in the Nasserein end of town then pop into Fang Haus! Enjoy!